Windows 10 comes with the system-wide dark mode, and most of the first party apps support the new look. Popular browsers like Firefox also offers a built-in dark mode to complement Windows 10’s dark look. Google Chrome, however, is late to the party. The latest version of Chrome doesn’t support a dark mode on Windows, but that’s about to change. 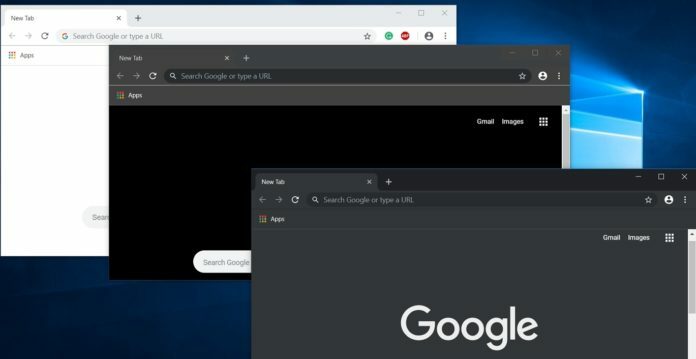 In late 2018, we learned that Google is bringing a new dark mode to Chrome for Windows 10 and macOS Mojave. Google Chrome’s dark theme appearance is already available for testing in Canary, but some changes are incomplete. Yesterday, we reported that Google Chrome’s dark appearance is now also visible on history, downloads, bookmarks, settings and the homepage. It appears that Chromium developers are speeding up the development of dark mode integration as today the engineers highlighted the latest improvements. In the latest version of Chrome Canary for Windows 10, the dark theme is now also visible on the extensions page. 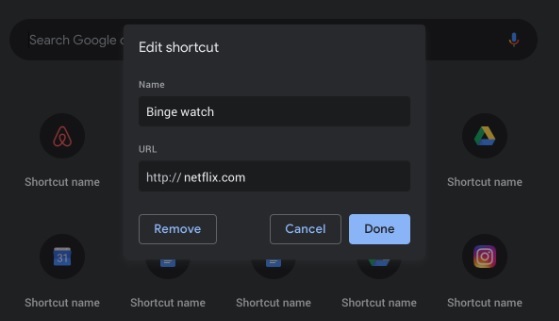 According to a post on the Chromium bugs database, the dark appearance is also spreading to the Chrome’s shortcuts manager. The shortcuts manager which is used to create simple shortcuts of webpages now features a dark appearance with a blue coloured button. Several other Chromium posts revealed that Chrome’s notifications, permission and payment dialogs also have the new dark appearance. The menu still has black texts and there are several other glitches. Once these issues are resolved, there should be nothing holding Google back from implementing dark theme in Google Chrome stable version. Make sure the desktop has a shortcut to open Chrome Canary. 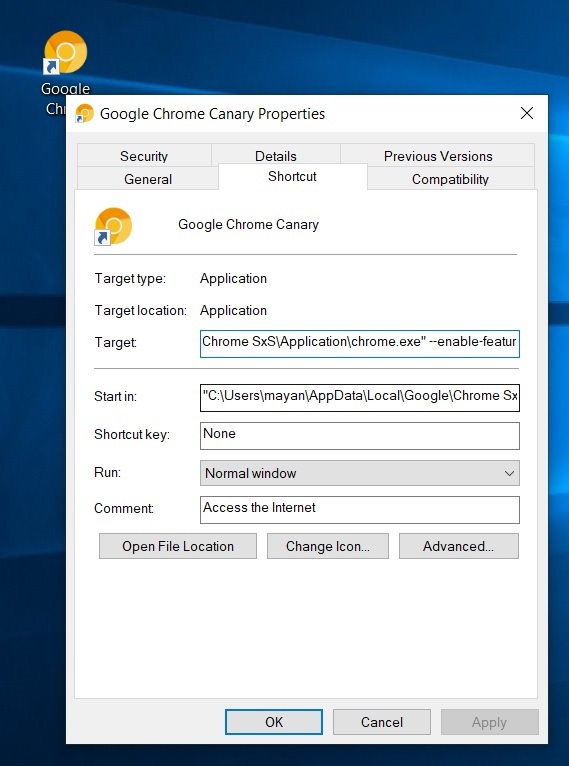 You would need to right-click on Canary shortcut and tap on ‘Properties’ option. Below the target type, target application labels, edit the target field. Add the following string after “chrome.exe” in the target field, but make sure there is a space after ” or before the string. One of the main issues with implementing a dark mode for Chrome is the homepage which looks identical to Incognito mode. The Chromium engineers are working on it and after addressing all reported issues, the dark theme will finally make its way to Chrome stable. I wonder if this is actually MS developers making the changes to Chromium? Will it appear in Edge first? I checked, the bug report was filed by Google engineer. But changes are getting implemented in Chromium source codes, so all Chromium browsers should be able to access dark mode.